Hi all, today’s post is not a technical one, but rather a “Thank you” post to Kscope/ODTUG for being responsible on changing my life (for the better, of course!!!) in ways that I could not even dream before. I (Rodrigo) am doing the writing here but I’m certain that Ricardo thinks the same as me about it. 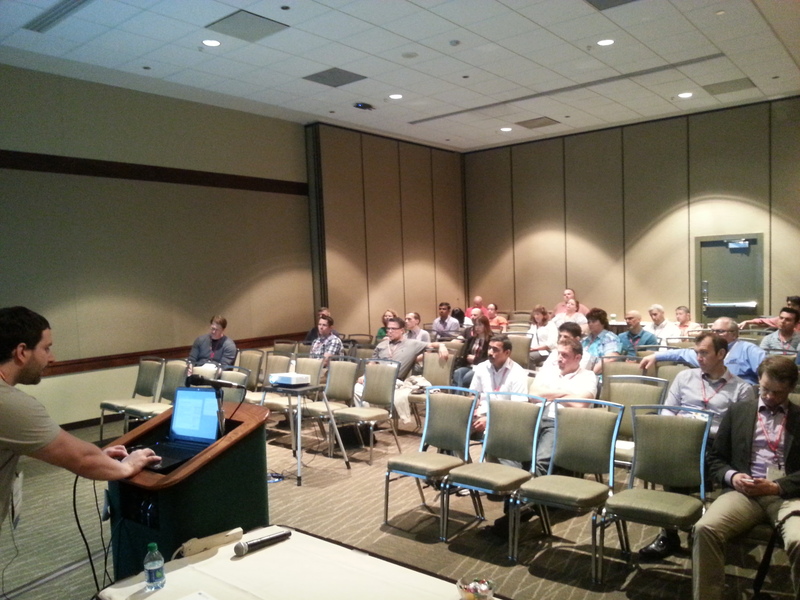 It all began when we were selected to present at Kscope13. I still remember how great was to see all those people that we would daily read their blog posts like Cameron, Glenn, Edward Roske and Tim Tow to name a few. They were standing right there and we could actually go and talk to them! The atmosphere around the event is so fantastic that you feel like home, everybody is there willing to talk about the best of the word’s technology. The conference stimulates this kind of networking and it is just priceless. I must say that our DEVEPM blog mainly exists because of Kscope. Being selected to participate as presenters in the event kind of “pushed” us to this blog’s creation and participating in the event showed us how important is to be active in the community. It may sound very cliché but Kscope made us realize how good is to actually help others when they need and also showed us that every help (no matter how small) can bring benefits to everybody. Sometimes you may think that you don’t have enough knowledge to share with others, but in fact you always have something that can benefit someone. 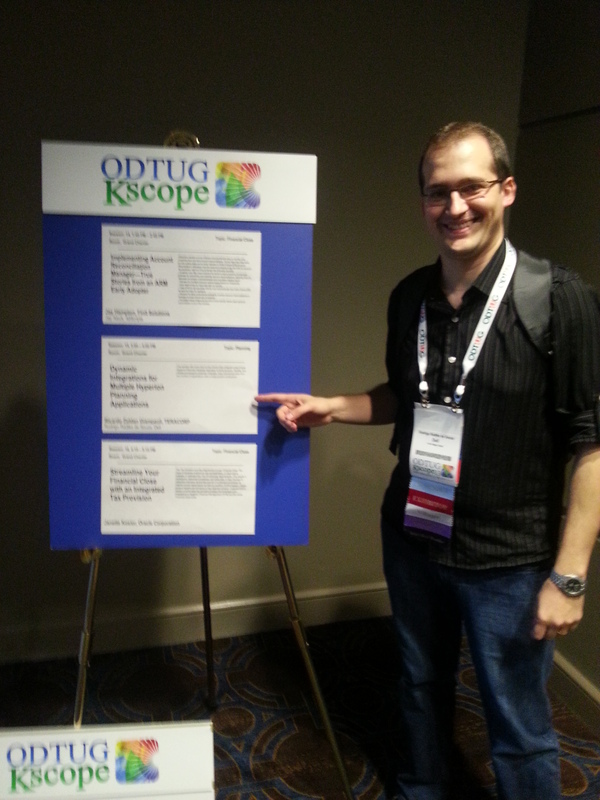 Then we were selected again for Kscope14 and even before this event started, we have felt its benefits. Kscope stimulates networking, networking produces opportunities and in our case we were invited to be panelists of the second “ODTUG ODI Experts Panel” webinar. I was in the audience of the “first” ODI Expert webinar panel and one year later I was there presenting as an ODI Expert! Again, it was only possible because Kscope gave us the unique chance to network and show our work to the community. Kscope14 was just fantastic! People say that each Kscope gets better and better and it is completely true. Each conference expands your network, you get to know some very good friends and the fun and knowledge is always present there. Another benefit that I got from there (you may initially find it silly) was the Twitter usage. Surprisingly Kscope taught me how to be more “social” and that Twitter could be an amazing tool to participate in the community and interact with other EPM folks. Everybody uses Twitter and there is a huge knowledge sharing that goes on every day. It may sound a small thing, but the benefits for my personal career are being huge. And as I said, it always gets better. After Kscope14 we got a publication accepted for OTNArchBeat blog and we even did a 2MTT with them! I would never imagine myself doing that before my involvement with Kscope and it was very fun and fantastic! The last but definitely not the least benefit of being part of this community was the nomination that we received for the Oracle ACE program! Becoming an Oracle ACE Associate was something that was a very far (very, very, very far) dream that I had but I didn’t even knew where to start to look for it. Kscope once again was a mind opener, showed us that everything that we do, we do for the benefit of the community and that when we least expect, the rewards starts to come as a recognition for the value that you bring to other people. This is just some highlights of how my life changed after Kscope entered in my life. If you want a life change opportunity do not hesitate and start participating. You do not need to be a presenter, you just need to be there and enjoy all the great opportunities that it has to offer. I don’t know if you all are aware of it, but we are from Brazil and for us it is very expensive to fly there, book a hotel, expend an entire week but it does worth every cent invested. It is more than a professional investment, it is a life changer. I would like to thank again ODTUG for organizing this amazing event every year and a very special thanks to Cameron Lackpour. Cameron is one of ODTUG’s directors and has been our “mentor” and a very good friend. He has believed in our work (sometimes much more than ourselves) and he always incentive us to do our best. ODTUG and the EPM community are lucky to have Cameron among them. Thank you my friend! We hope to see all of you there! Don’t miss this opportunity! See ya!